Does your relationship have termites? A person can sincerely and deeply believe something and yet, be completely wrong. If you think that truth doesn’t apply to you, then you just proved my point. We hear or see something, react, and then realize we only had part of the story. Sometimes we see or hear nothing, make up a story in our heads, and react based on a gut feeling. When we’re right it's like winning the lottery, but when we’re wrong the price paid is rarely worth the pain and embarrassment that it costs. My friend Mike and I mitigate the risk of falling into this trap through a policy we have set in our friendship. We call it "clearing assumptions." Clearing assumptions is about realizing that the situation I described above actually happens pretty often and provides a method for dealing with those moments before any level of reactivity begins. I rent my coaching office from Mike and a few months ago, I got it in my head that he was going to tell me that my office wasn't going to be available any longer. Why did I think that? I think he had a landscaper come to give him a quote on some lawn work or something. What does that have to do with me renting my office? Absolutely nothing, but I made up a story in my mind that maybe he was going to sell the building, renovate, or who knows what. How many times have you gotten something in your head and carried it around until it grew to the point where you could no longer contain it? Mike and I don’t do that. Because we have this installed in the way we communicate, he was psyched, smiled and said go for it. This is process is actually really fun and freeing. Mike and I are both coaches and like to test our methods to see how well they work. I told him what I was thinking, he said nope and that in fact, it was the furthest thing from his mind. He never made me feel silly for the thought or the question, nor did he feel accused. Instead of one of us getting to celebrate one of us being right and the other wrong, we both got to celebrate clear, honest communication in an evolved, safe place. Here are some tips as you begin to use assumption clearing. - Start by talking generally about the danger in believing that our assumptions are true and maybe share a story about a time you got it wrong. - Introduce clearing assumptions as a tool that might help both of you to avoid the pitfalls that occur when we are holding assumptions in. - Agree on a statement or question that will let the other person know you wish to engage this process. It could be, “I’m making up a story,” or simply, “I need to clear an assumption with you.” Whichever phrase you choose, agree that it's the other person’s job to not feel accused, threatened, or irritated. Conversely, the one needing to clear the assumption should avoid using an accusatory tone or making the process feel like an interrogation. - Complete the conversation and avoid the temptation to rehash outside of the context of the process. If the assumption is cleared in the morning, don’t bring it up either jokingly or seriously at dinner. Allow the space in which it was cleared to be both intentional and sacred. Adhering to completion is a serious trust builder and will make subsequent clearings cleaner. As I wrap up this blog post, I’m making up a story that I’d like to clear. I think you have in mind a person you want to try this with. If I’m wrong, thanks for clearing that with me. Know that idea you have for that thing you want to do? Some of your nearest and dearest have been telling you to get to it for years. There are other well intending people who have been less encouraging. I’m sorry vegans. Please don’t feel upset or alienated. Just making a point. A hamburger (or cheeseburger when served with a slice of cheese) is a sandwich consisting of one or more cooked patties of ground meat, usually beef, placed inside a sliced bread roll or bun. Hamburgers may be cooked in a variety of ways, including pan-frying, barbecuing, and flame-broiling. Hamburgers are often served with cheese, lettuce, tomato, bacon, onion, pickles, and condiments such as mustard, mayonnaise, ketchup, relish, and chiles.It's reported that Americans consume nearly 50 billion burgers per year. A cheeseburger is a thing. You know one when you see one and if you’re a carnivore you most likely have a strong opinion about where to get the best. Most likely you've never had a Louis' Lunch burger but you have had a burger. If you are reading this in the USA, you've most likely had countless burgers from a wide range of places. You’ve known that joy because people didn’t look at Louis' Lunch and say there’s no point in me making burgers because they already did it. Someone walked in a said this is good but what if we did this to it. I’m so glad they did! The world is ready for your burger and by burger I mean your book, business, poem, service, song, painting, workshop and idea. 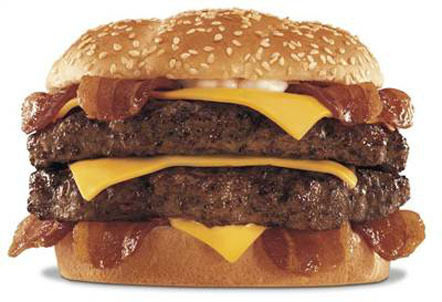 The part of you that says “Why bother” must realize that yes we have eaten burgers, but we haven’t eaten YOUR burger. What do Michael Jordan and Mother Theresa have in common? They both used coaching as a way to be the best at what they were compelled to accomplish. Email ThatLifeNow@gmail.com or call 978-994-0431 to get started in life coaching with Jim Trick. When you ask for a schmear of chopped liver on a pastrami sandwich at the 2nd Ave deli, they will translate that into about a quarter lb of some of the best stuff on earth on a sandwich the size of your head. You won't lose weight, but you may die with a smile on your face. Imagine if I called you on Thursday morning and left a voicemail saying “Meet me in New York City on Monday” and then offered no further information. Driving to Manhattan and wandering the streets in the hope that we would just find each other? You wouldn’t even get in the car for that prospect. The unanswered questions regarding time, location, and the reason for the meeting, really matter. The absence of information not only creates a vacuum but feels pretty frustrating. If I want to meet you in New York, I promise to get specific. The first step to getting what you want is about getting specific. Telling yourself that you want to lose a “bunch” of weight is likesaying “meet me in New York on Saturday”. How many lbs do you want to lose in the next two weeks? How many dollars do you want to be earning weekly in the next six months? Why do you want to lose the weight? What do you want the money for???? What will it be like if you don’t reach your goal? What food must you eliminate to reach your goal and is it really worth it to you? What one thing could you do in the next hour to get you closer to what you want? Determining the details of what you actually want, why you want in and when, is a great place to start.